“As a companion to ‘shiro gohan’, I’ve always thought ‘gyoza’ was the best thinkable partner”, says Mr. Kena. 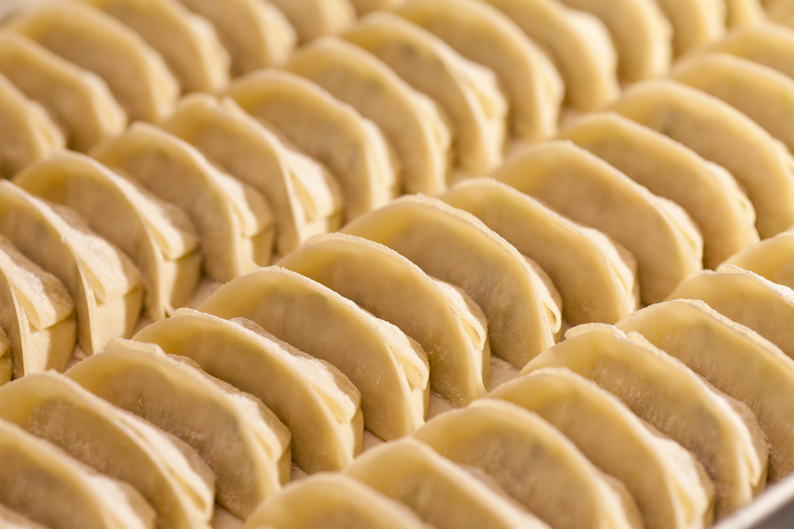 The reason why Ryukazan is only a takeaway shop is because he wanted the ‘gyoza’ dumplings to be shared and enjoyed by families, together, at home. “But for that, I had to make sure that they would be easy to cook in a ordinary home kitchen’. Another reason why Mr. Kena made Ryukazan a takeaway only shop was that he wanted to make it easy to franchise the brand to other people, especially retired couples. “The initial costs of setting up a takeaway only shop are relatively small, and that could add an extra income to people living on a retirement pension”.